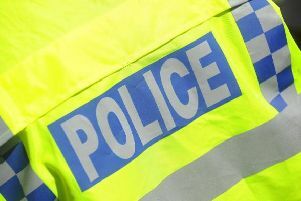 A woman has died after a collision in a village near Daventry. The collision happened at about 11.30am on Friday, January 27, at the junction of Kilsby Road with Nortoft Lane in Barby. Northamptonshire olice say that a grey Vauxhall Insignia, driven by a 54-year-old man from Rugby, collided with a pedestrian. The pedestrian, who has been formally identified as 32-year-old Anna Hodgkins from Barby, was taken to University Hospital Coventry with serious head injuries and sadly died some hours later. Officers from the Serious Collision Investigation Unit are appealing for witnesses to the collision and anyone with any information is asked to contact Northamptonshire Police on 101 or call the Drivewatch Hotline on 0800 174615.